Jeffrey Jon Allen, 50, of Keene passed quietly in his sleep on April 6, 2018. He was born on February 16, 1968, the son of Jacqueline (Jackie) Hull of Littleton NH. and John (jack) Allen of Unity NH. He had been a resident of Keene for the majority of his life. He grew up on the family strawberry farm and as a child could often be found running barefoot through the sprinklers. As a young man he worked for Asplundh Tree Service and Serve Pro. He was a painter, landscaper and had a passion for mining crystals all up and down the East Coast. He was a caregiver and healer- a very gentle soul. He loved everyone, especially his family. He loved to be in the woods calling owls which gained him the name Owl Whisperer. However, he could be an annoying jokester. In addition to his parents Jeffrey is survived by his daughter Sarah Allen of Keene, his sisters, Holly St.Pierre of Keene and Laura Madden of Walpole. A niece, Kristen St. Pierre of Avon CO, nephews, Andre St. Pierre and wife Holly of Nelson, Brody Madden and partner Cate of Westbrook CT, Kurtis Madden of Walpole, Brandon Madden and wife Jennifer of Charlotte NC, and his ex-wife Kimberley Diemond of W. Chesterfield, and many aunts, uncles and cousins. He is pre-deceased by his brother-in-law Glenn Madden. 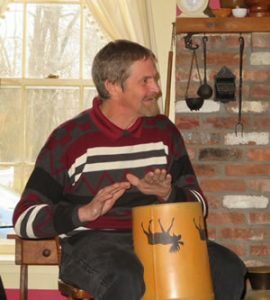 He was a friend of Bill’s and will be missed by many, including his close friends Scott Davis of Winchester, Peter Hartz of Keene and Ed Wojenski.